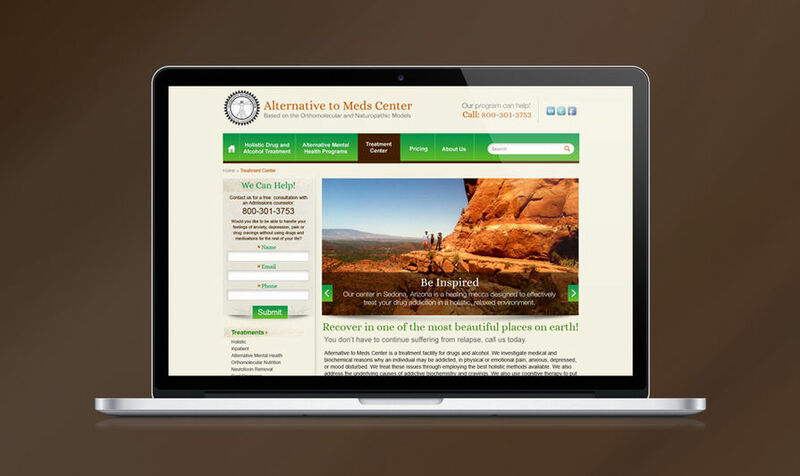 The Alternative to Meds Center is a treatment center focusing on alternatives to psychiatric drugs. 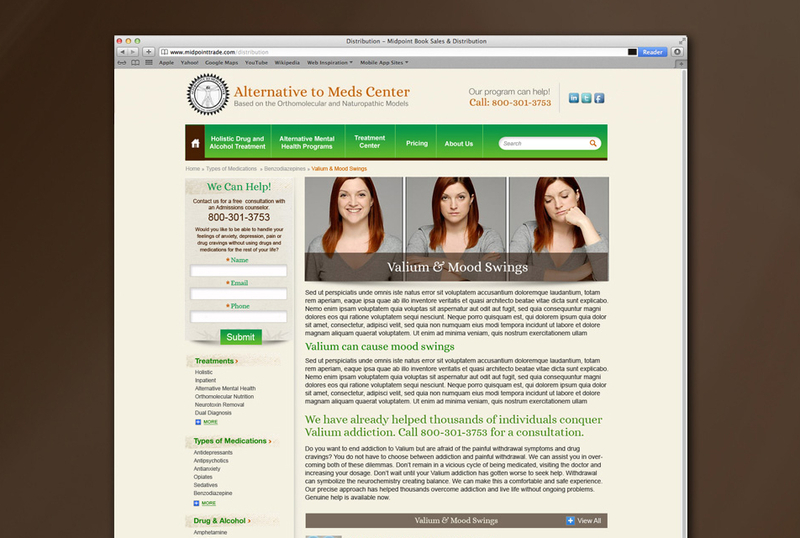 Their focus is to treat patients who may be suffering from addiction, withdrawl, and other chemical related conditions. RustyBrick was tasked with designing and implementing the informational website. 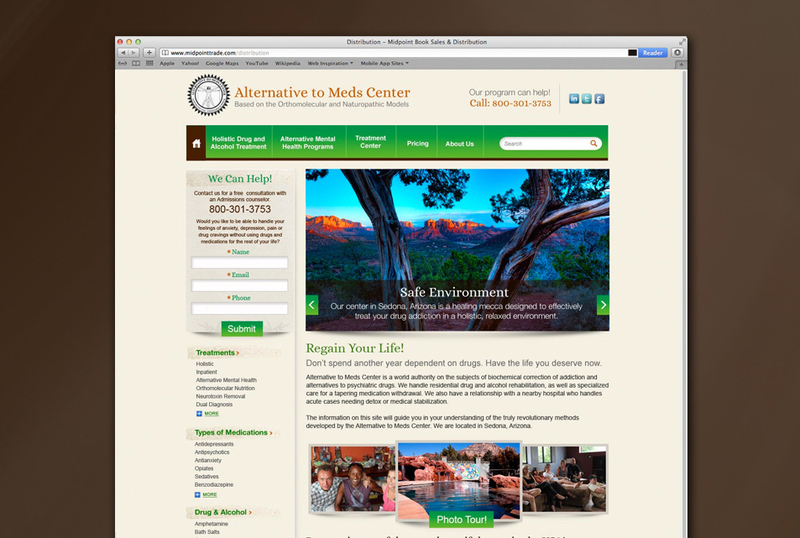 It was important to convey the overall look and feel of the Arizona based recovery center. We worked closely with the client to provide the appropriate visual messaging and tone.